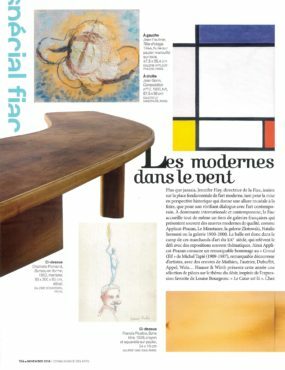 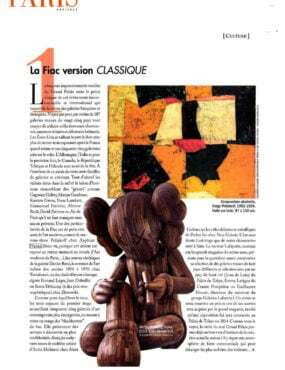 Following FIAC, Applicat-Prazan presents 12 historical paintings by artists who belonged to Michel Tapié’s ‘stable’. 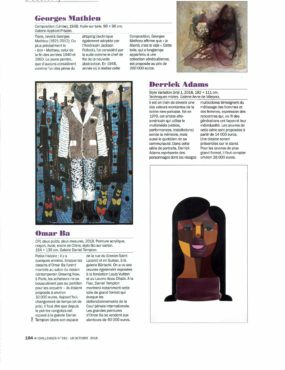 The exhibition will subsequently be shown at the Left Bank gallery from the 27th October through to the 22nd December 2018. 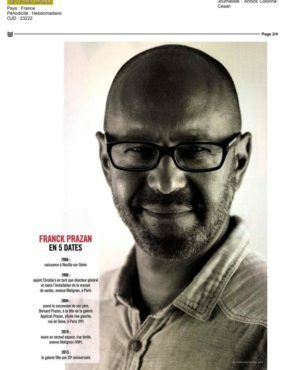 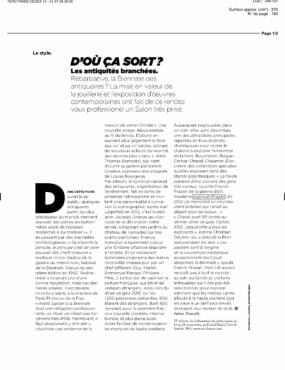 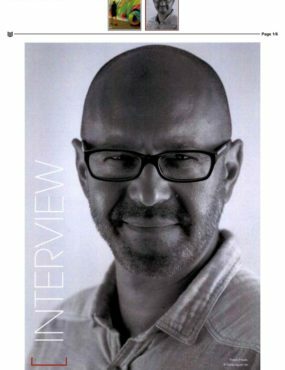 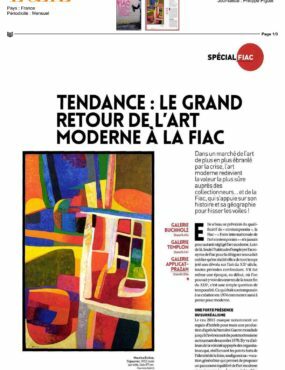 This remarkable art critic was amongst the very first to spot this Art-form that was called “Autre” or different and which goes from Informal art to Gutaï. 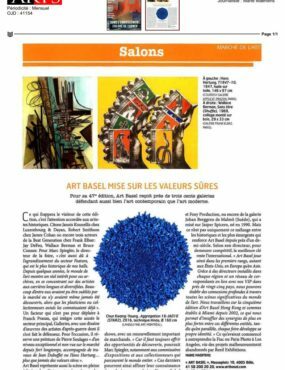 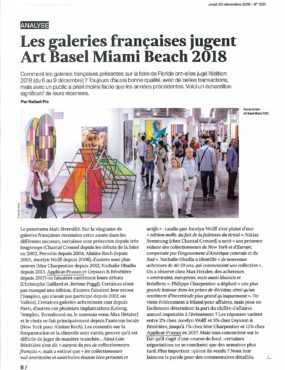 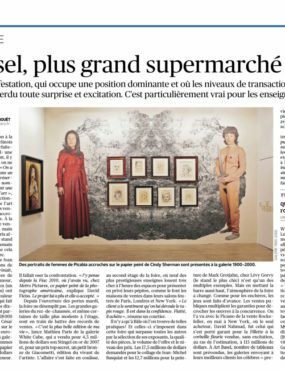 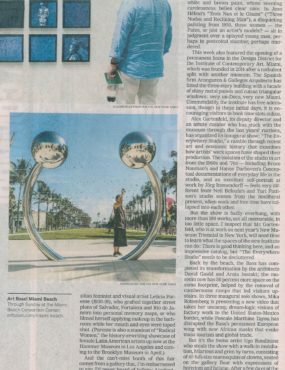 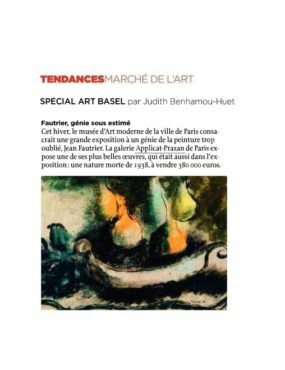 Participating in the Galleries section of Art Basel, Applicat-Prazan was also showing this year a truly out of the ordinary painting by Georges Mathieu in the Unlimited section of the fair dedicated to monumental works of art. 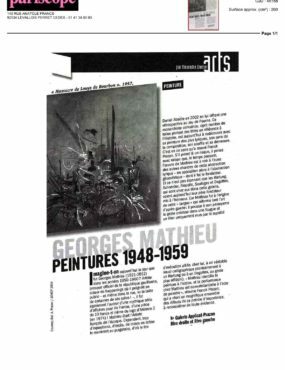 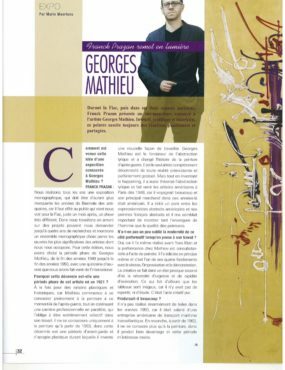 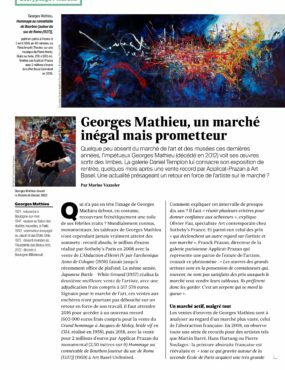 Painted 59 years ago, this work has been shown at all the greatest exhibitions dedicated to Georges Mathieu and is indisputably, one of the Artist’s masterpieces. 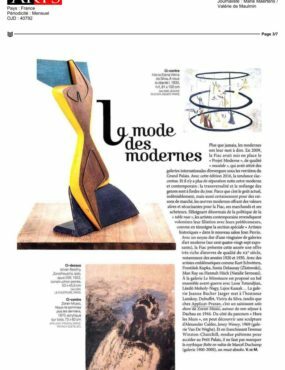 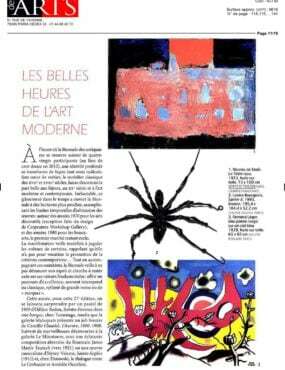 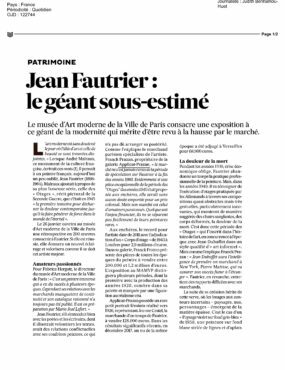 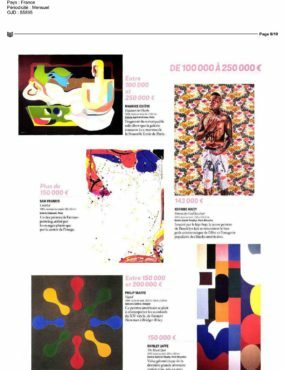 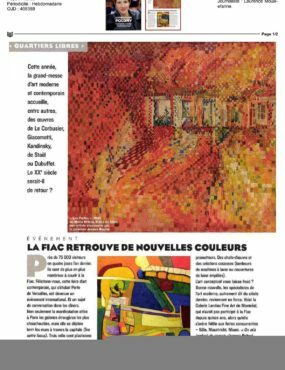 Six paintings from the gallery, lent by private collectors, are on view in the Musée d’Art Moderne de la Ville de Paris until May 20th, 2018. 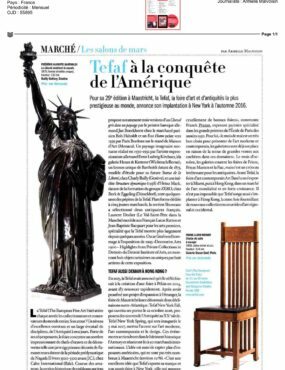 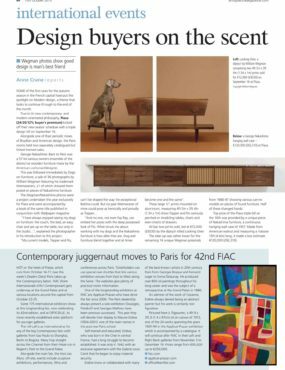 TEFAF Maastricht, Europe’s largest and most important fair dedicated to art, antiques and design, goes to New York. 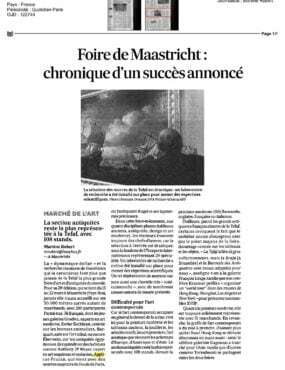 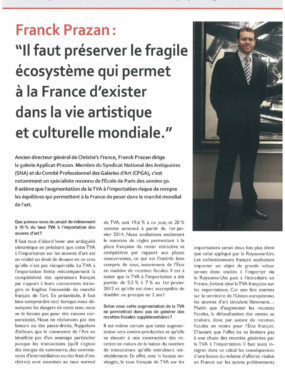 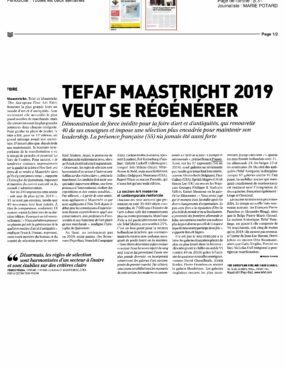 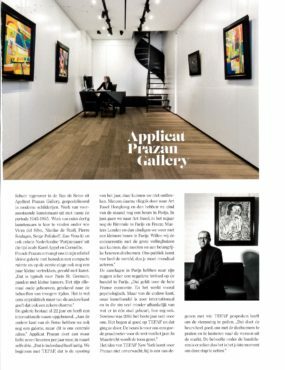 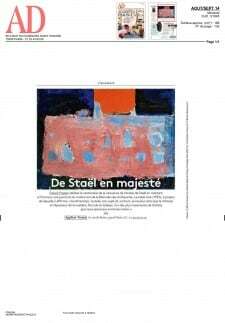 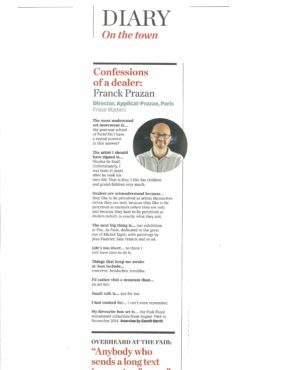 Patrick van Maris, CEO of TEFAF said: «Exhibitors that regularly come to our Maastricht venue, as well as institutions and private collectors had, for a while, expressed their need and wish to have an event equivalent to TEFAF in New York ». 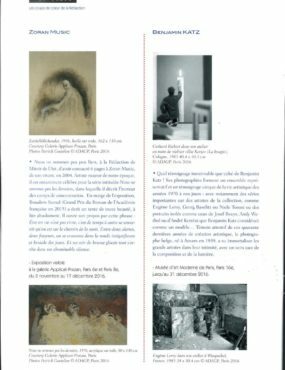 A first edition dedicated to works from Antiquity through to the 20th Century took place in October 2016. 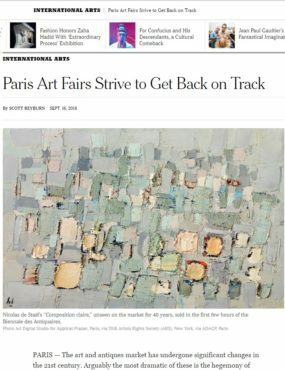 The second edition, in which Applicat-Prazan will be participating, is to be held from May 4 to 8 and will be focusing on modern and contemporary art and design at the Park Avenue Armory. 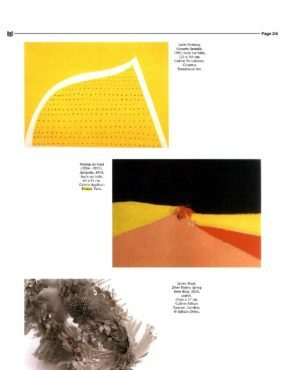 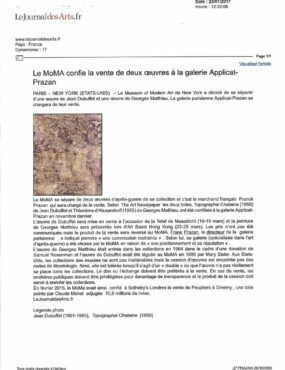 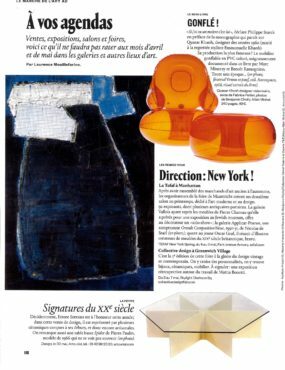 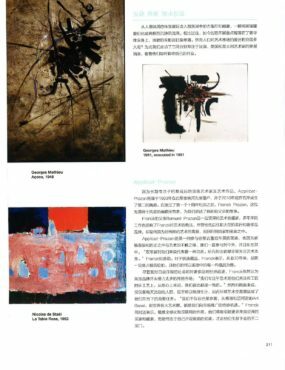 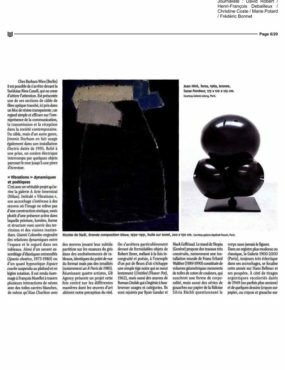 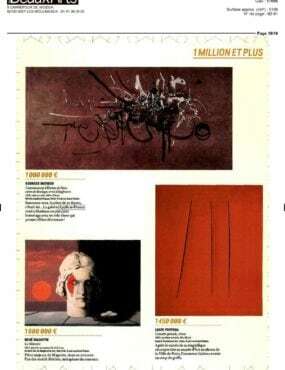 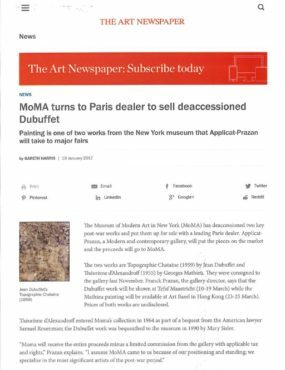 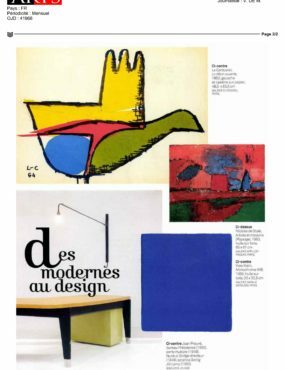 Applicat-Prazan is honoured to offer for sale these two artworks on behalf of the Museum of Modern Art, New York (MoMA). 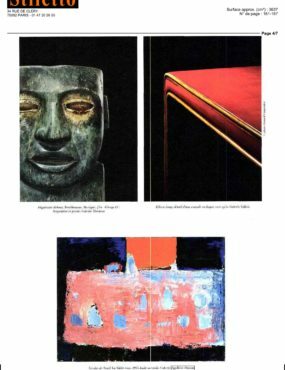 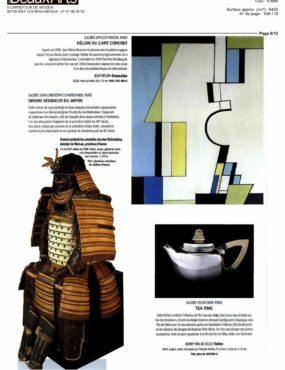 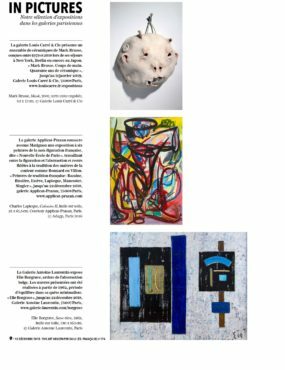 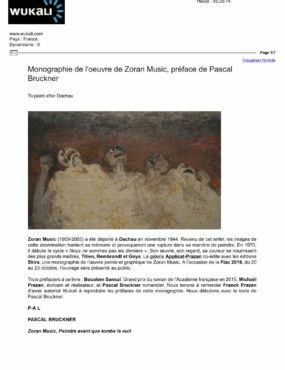 At the 2016 edition of the Paris FIAC Art Fair, Applicat-Prazan will be presenting the historical and eternal, monumental and timeless work of Zoran Music (1909-2005). 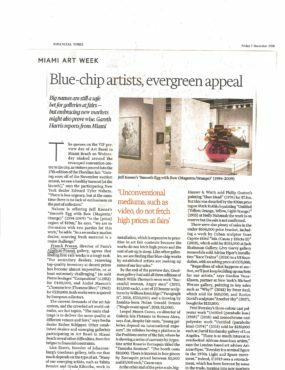 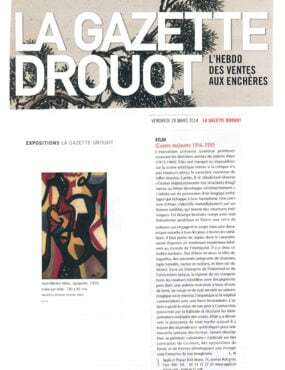 Composed of 17 paintings, this exhibition brings to light two series of his works which fascinate the gallery. 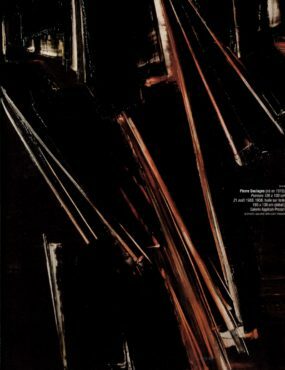 “We are not the last” consists of 10 acrylic paintings on canvas executed between 1970 and 1974, and his major later works of the 1990’s, in which he reveals his inner realm, approaching his own end. 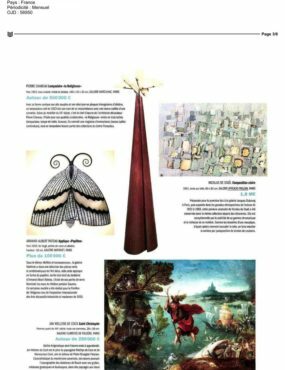 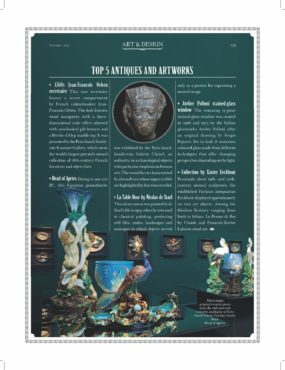 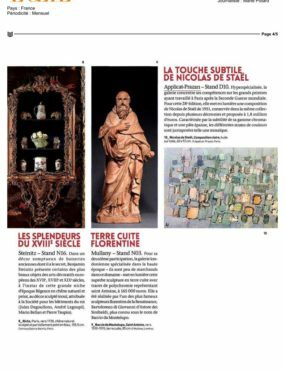 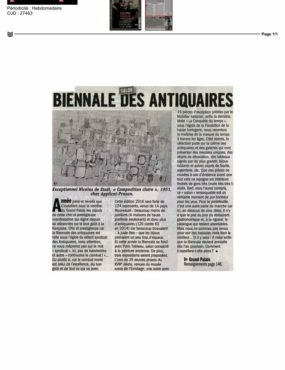 The Biennale des Antiquaires, a major and key event in the art market for more than six decades, is a veritable museum albeit temporary, and will play host to works both ancient and modern from 10 to 18 September 2016 under the glass roof of the Grand Palais in Paris. 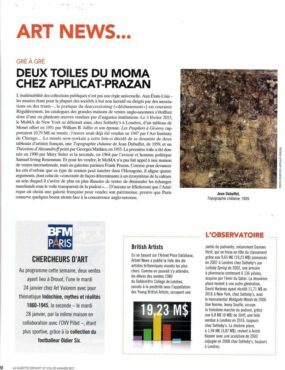 On the occasion of its first participation in Art Basel Galleries from 16 to 19 June 2016, Applicat-Prazan presents four museum-quality paintings among a selection of exceptional European post-war works. 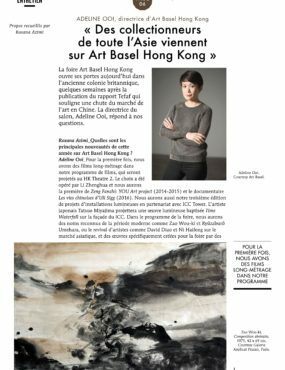 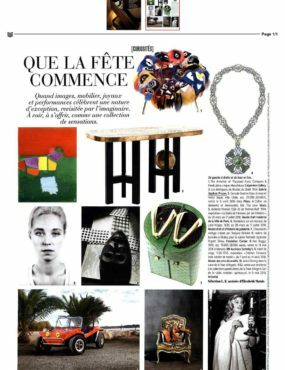 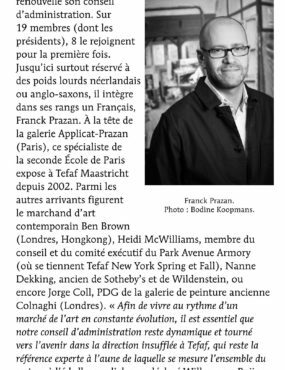 During the first quarter of 2016, Applicat-Prazan will be participating in three important International art fairs comprising TEFAF Maastricht in the Netherlands, Art Basel Hong Kong and the Salon du Dessin in Paris. 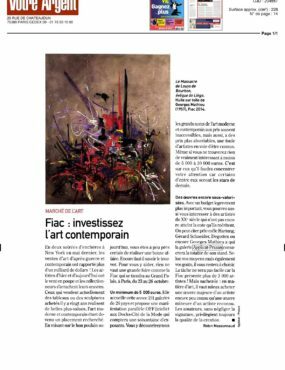 At each edition of the Paris FIAC Art Fair, Applicat-Prazan presents a solo exhibition of works by an important figure of post-war art who worked in Paris. 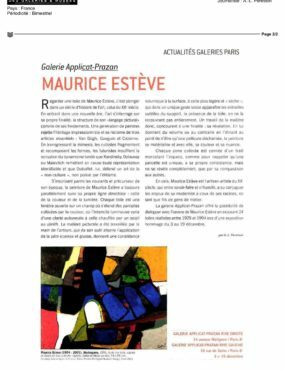 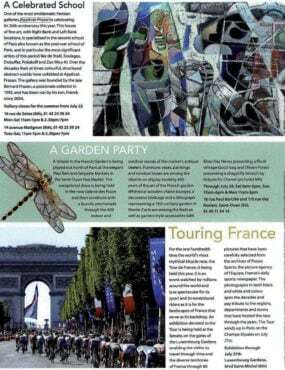 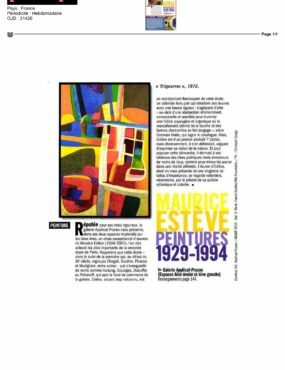 This year the gallery showed a selection of 24 paintings by Maurice Estève from 22 to 25 October 2015. 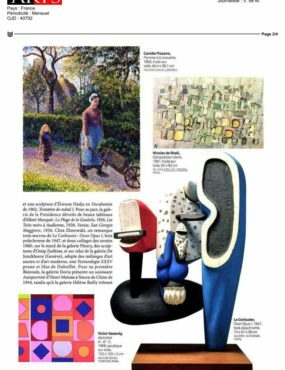 The exhibition continues until 19th December in our two Parisian galleries. 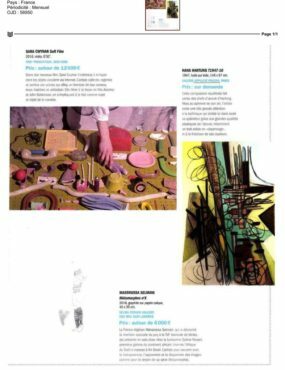 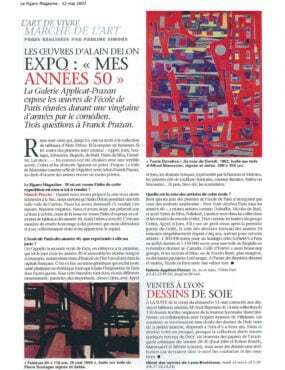 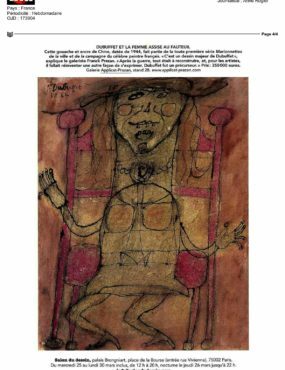 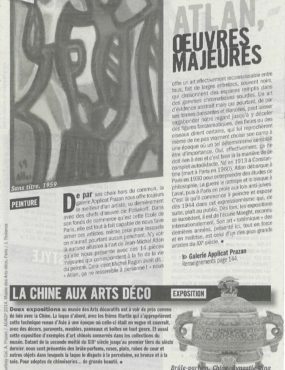 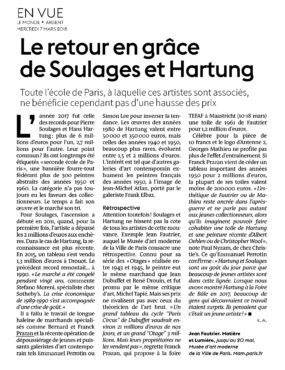 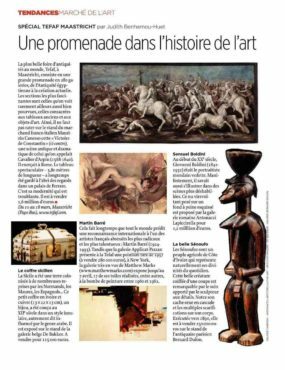 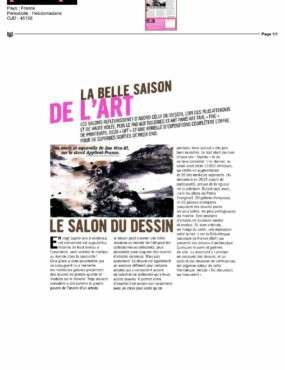 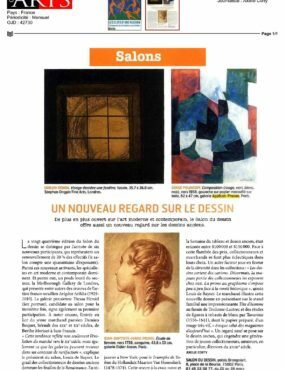 At this 2015 edition of the Salon du Dessin from 25 to 30 March, Applicat-Prazan will be showing a selection of fine works on paper by artists of the second School of Paris. 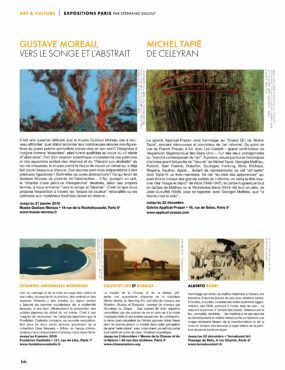 From the 13th to 22nd March 2015 at Tefaf Maastricht, Applicat-Prazan will be showing a selection of pictures from the Post-War School of Paris including this exceptional Sicilian landscape from the legendary series Agrigente by Nicolas de Staël. 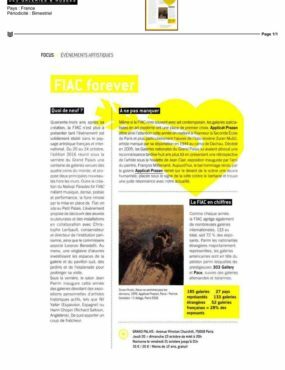 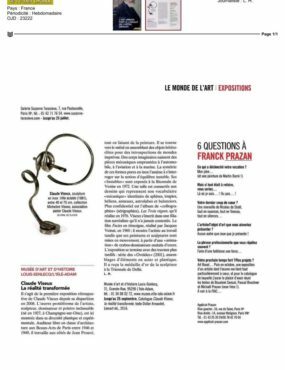 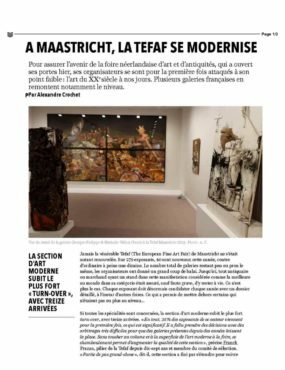 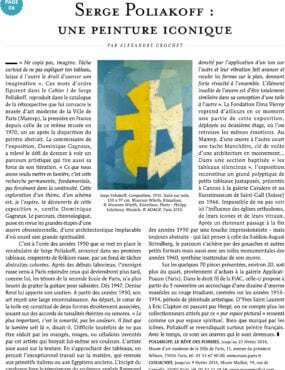 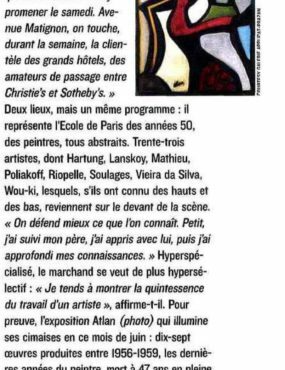 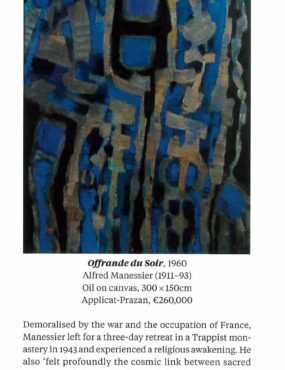 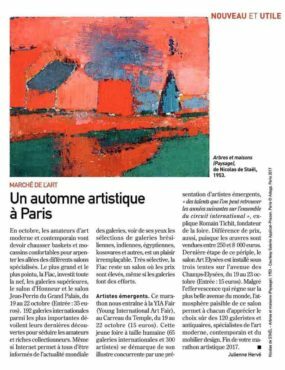 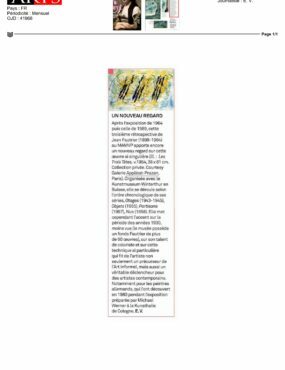 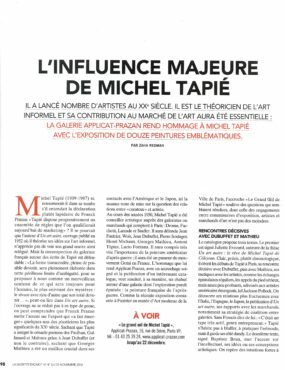 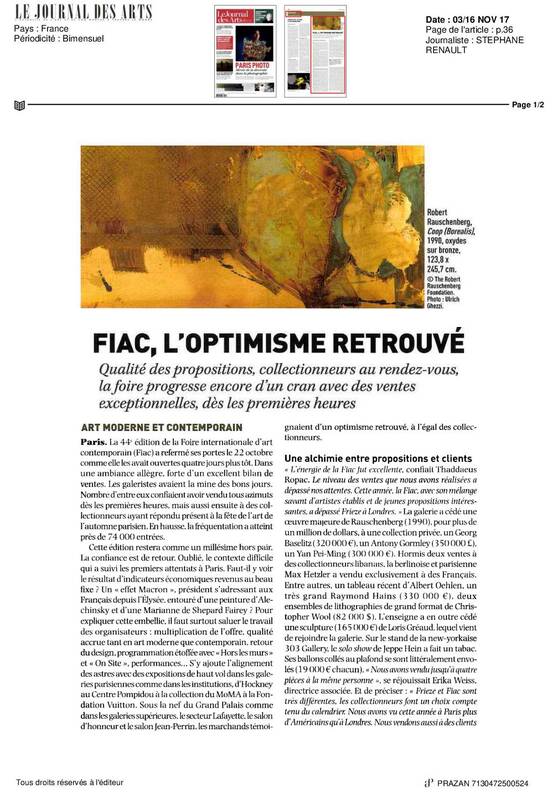 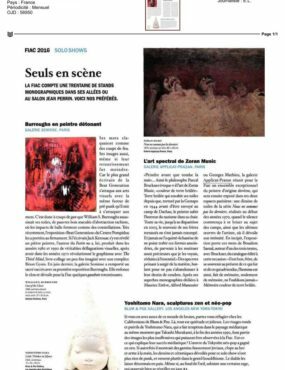 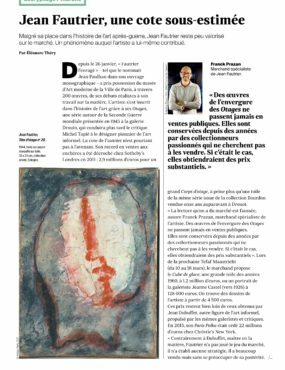 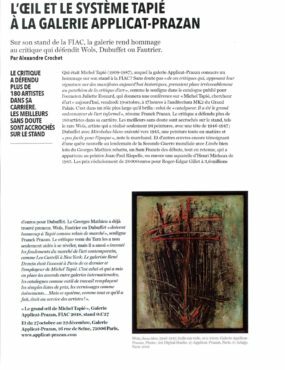 Continuing its series of significant monographic exhibitions, Applicat-Prazan presented a selection of historic paintings (1948 – 1959) by Georges Mathieu at the FIAC from 23 to 26 October 2014. 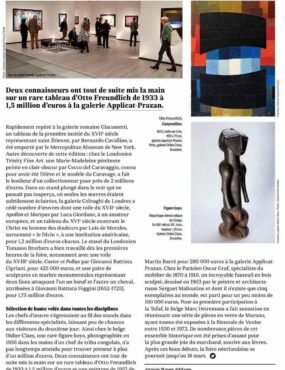 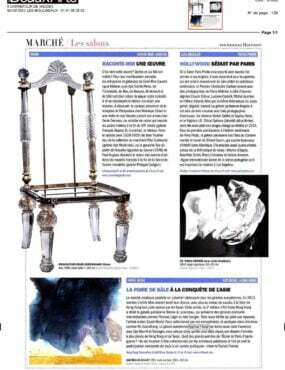 The 27th edition of the Biennale des Antiquaires, decorated for the occasion by Jacques Grange on the theme of the gardens of Versailles, took place under the glass roof of the Grand Palais from 11th to 21st September 2014. 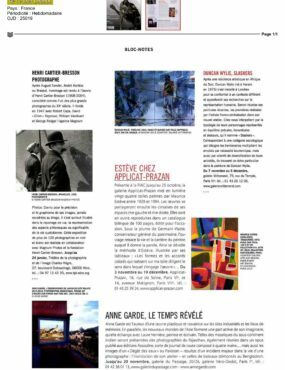 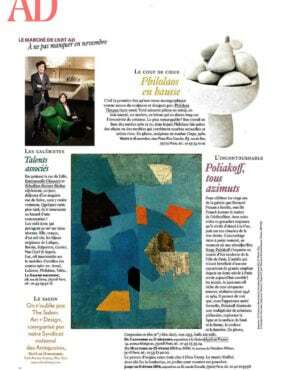 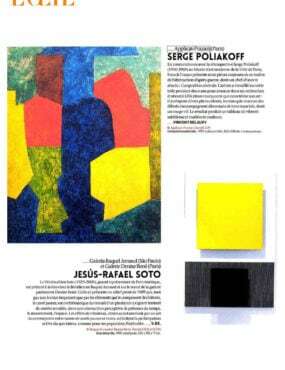 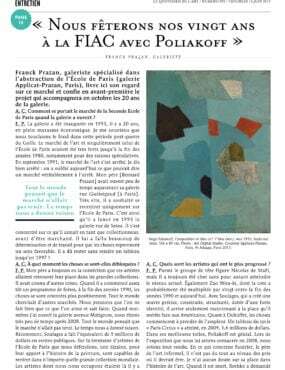 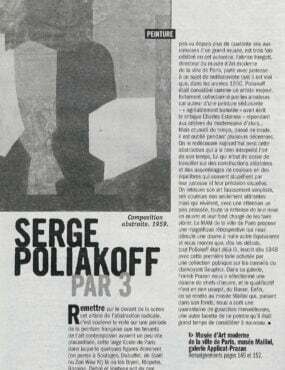 In celebration of our 20th anniversary and coinciding with the rétrospective exhibition of the work of Poliakoff at the Musée d’Art Moderne de la Ville de Paris, Applicat-Prazan presents une exposition monographique Serge Poliakoff. 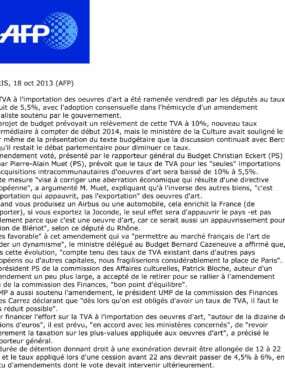 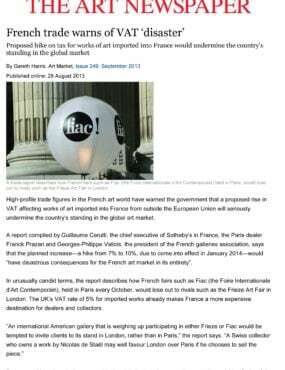 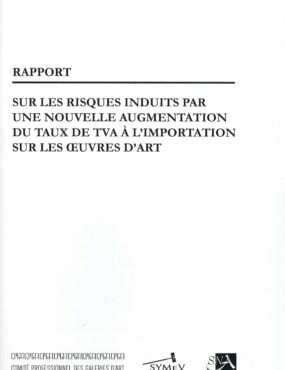 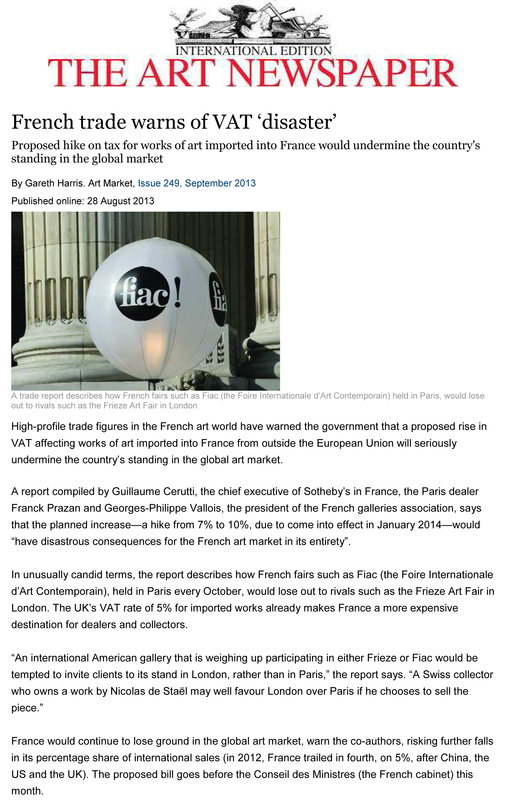 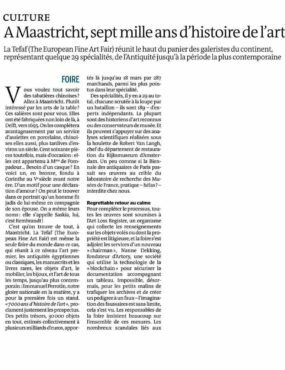 The French PM is proposing to increase the VAT rate levied when works of art are imported from countries outside the EU from 7 to 10%. 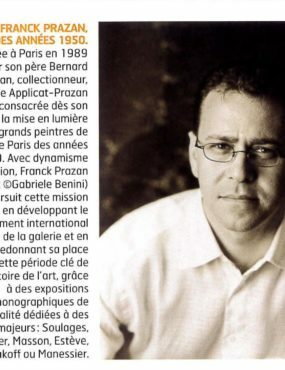 Franck Prazan acts. 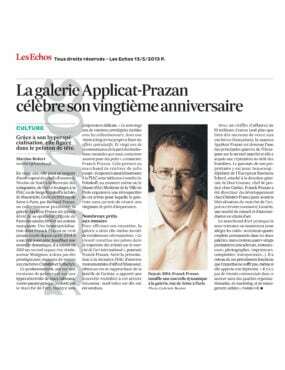 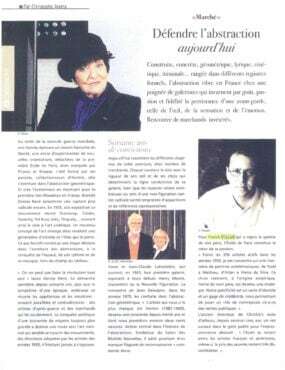 Applicat-Prazan is celebrating the 20th anniversary of its inception.